The narrow, indented widths of the natural wood sandblocks make then easy to scrape or tap together. 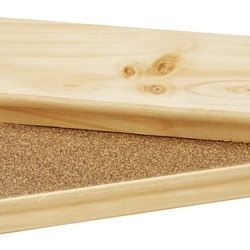 Simply slide the sandpaper surfaces back and forth to create different sounds. Songs and playing activities are included, safe for ages + 3 years.